In 1990, the federal government invited a group of geologists, linguists, astrophysicists, architects, artists, and writers to the New Mexico desert, to visit the Waste Isolation Pilot Plant. They would be there on assignment. The Waste Isolation Pilot Plant (WIPP) is the nation’s only permanent underground repository for nuclear waste. Radioactive byproducts from nuclear weapons manufacturing and nuclear power plants. 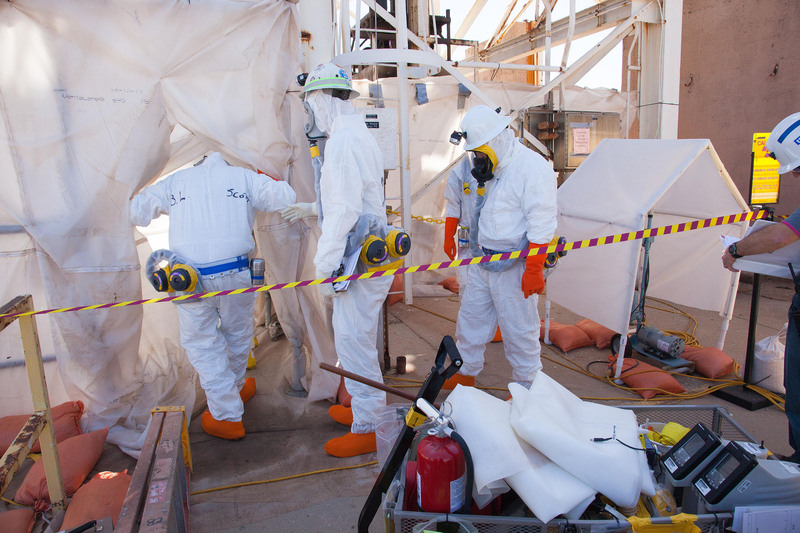 WIPP was designed not only to handle a waste stream of various forms of nuclear sludge, but also more mundane things that interacted with radioactive materials, such as tools and gloves. WIPP, which is located deep in the New Mexico desert, was designed to store all of this radioactive material and keep us all safe from it. Eventually, WIPP will be sealed up and left alone. Years will pass and those years will become decades. Those decades will become centuries and those centuries will roll into millennia. People above ground will come and go. Cultures will rise and fall. And all the while, below the surface, that cave full of waste will get smaller and smaller, until the salt swallows up all those oil drums and entombs them. Then, all the old radioactive gloves and tools and little bits from bombs –all still radioactive– will be solidified in the earth’s crust for more than 200,000 years. Basically forever. 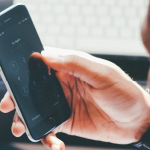 Storing something safely forever is a huge design problem; in fact, the jury’s still out on whether WIPP has solved the basics of the storage problem at all. 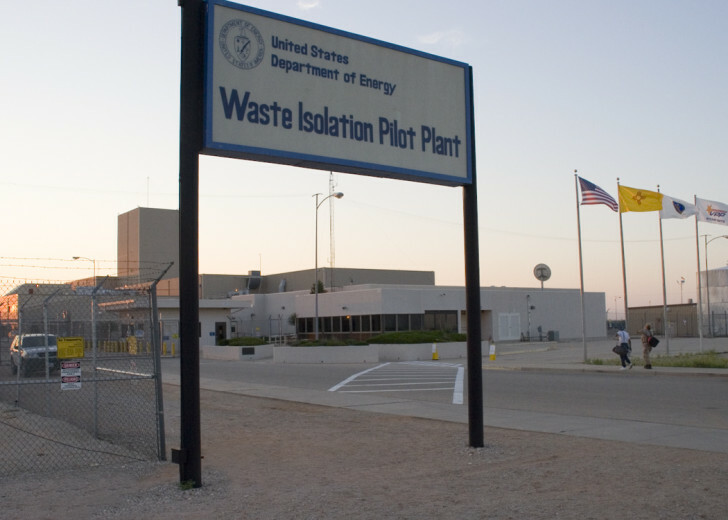 In February of 2014, a leak was detected at WIPP which exposed several workers to radiation and WIPP has been closed since. The Department of Energy now predicts that it could be up to three years before WIPP is fully operational again. We know these facts because we can look them up and read the news in a shared language. The problem that the aforementioned panel was convened to address was how to communicate this information to people 10,000 years in the future. This WIPP site is going to be radioactive for hundreds of thousands of years, though this panel was only responsible for keeping this place sufficiently marked for humans for the next 10,000 years—thinking beyond that timeframe was thought to be impossible. Though 10,000 years in the future is still fairly inconceivable. 10,000 years ago, the biggest new technology spreading across the planet was farming. Culturally, we share almost nothing with people alive back then. Who knows the world will look like 10,000 years from now? The panel began by thinking about language. But language, like radioactive materials, has a half life. Beowulf, from only 1,000 years ago, is incomprehensible today. The panel also considered symbols, which seemed like they might be more universal. A smiley face seems to have a global appeal. And face logos have already been used as warnings. Carl Sagan (who was invited to participate on the panel but had a schedule conflict) sent the WIPP panel a letter saying this whole marker problem was easily solved with the right symbol, and he knew just the one: the skull and crossbones. But symbols can also shift over time. The skull and crossbones actually began not as a symbol of death, but a symbol of rebirth. The earliest uses of it are in religious paintings and sculptures from uh middle ages. At the foot of the cross where Jesus is crucified, there lies a skull with two bones in the shape of a cross, not an ‘x.’ The skull is supposed to be that of Adam. 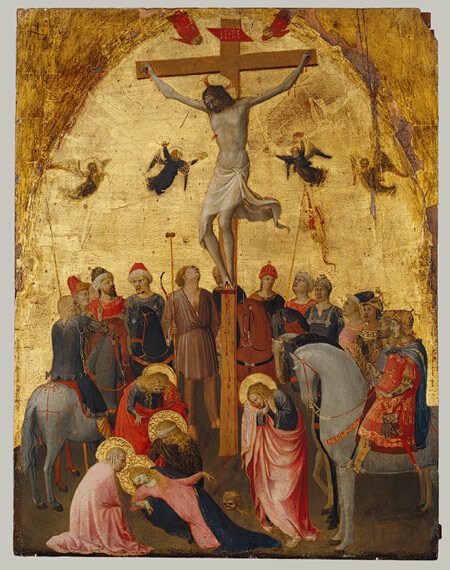 The Crucifixion by Fra Angelico. See directly underneath the cross. A few centuries later, ship captains started to draw little skull and cross bones in their logs, next the names of sailors who had died at sea. Sailors came to associate the symbol with death. Fast forward another century. 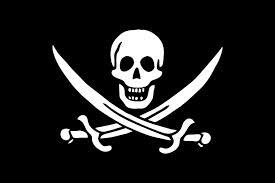 Pirates realized they could use symbolism to terrify their targets into compliance. 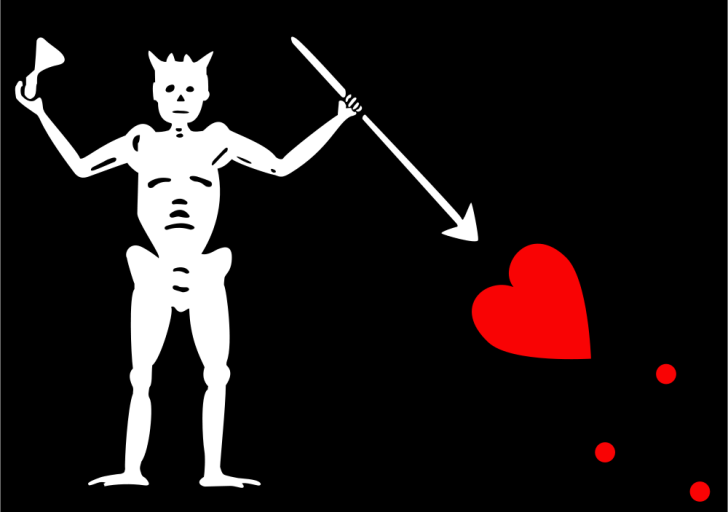 But there were several different designs besides the “jolly roger” that pirates used, including an hourglass, and a bleeding heart. The banner of Edward Teach (also known as “Blackbeard”) had both. Then, in 1720, a pirate named Calico Jack Rackham was captured and put on trial. The trial was the sensational story of the day, and everyone in England was talking about it. 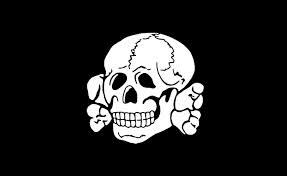 And it just so happened Calico Jack’s symbol was the Jolly Roger, though in his case the bones were replaced with a pair of crossed swords. 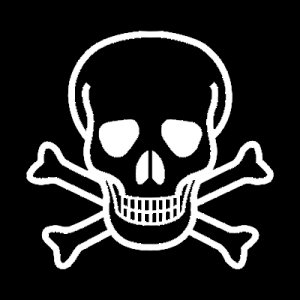 After that trial, the skull and crossbones permeated culture as a symbol of danger. By the late 1800s, it was starting to be used as a symbol for poison. Then in the 1940s, the Nazis adopted it for their SS death head divisions. 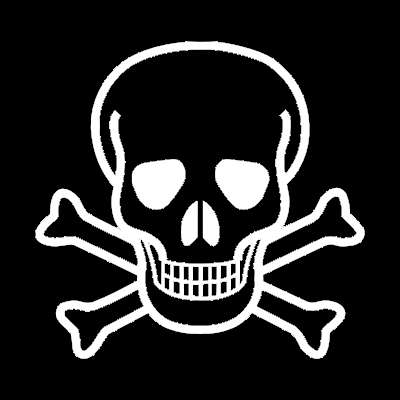 The skull and crossbones came to be associated with danger and death around the world. But its meaning didn’t truly become a universal. In the last few decades, the Jolly Roger has gone mainstream. Now you’ll see it on backpacks, toddler onesies, and even on water bottles. So much for indicating poison. Ruling out language and symbols, the panelists thought about using some visual storytelling. Panelist Jon Lomberg thought you could define the radioactive trefoil symbol with a sequence of events. But if you read that comic strip from the bottom up, it looks like the man has found the fountain of youth! But there’s no way of knowing that this ominous landscape won’t become an attraction in itself and actually invite people to explore it. 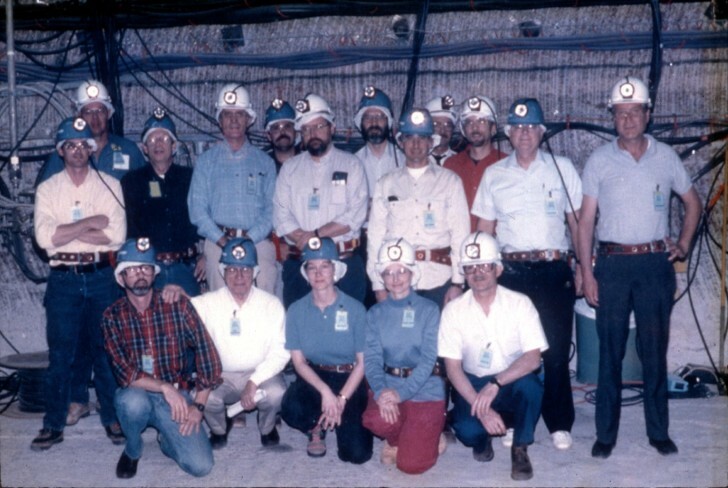 The most hands-down 99pi favorite solution, though, didn’t come from the WIPP brainstorm—rather, it came out of the Human Interference Task Force, a similar panel that was pulled together in 1981 for the now-defunct Yucca Mountain project. 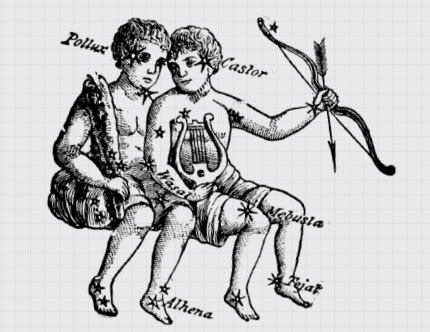 It was proposed by two philosophers, Françoise Bastide and Paolo Fabbri. Bastide and Fabbri came to the conclusion that the most durable thing that humanity has ever made is culture: religion, folklore, belief systems. They may morph over time, but an essential message can get pulled through over millennia. 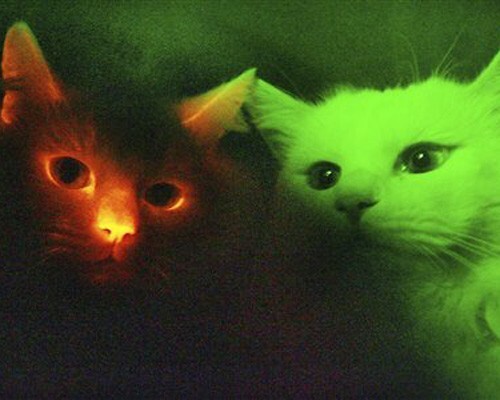 They proposed that we genetically engineer a species of cat that changes color in the presence of radiation, which would be released into the wild to serve as living Geiger counters. Then, we would create folklore and write songs and tell stories about these “ray cats,” the moral being that when you see these cats change colors, run far, far away. This is all a lot of effort to protect people we that our great great great grandkids will never know. All while people now, in our own time, are already harmed by the results of nuclear weapons manufacturing. Tallevast residents started noticing that a lot of people were getting diagnosed with cancer and other diseases including berryliosis, which you get from exposure to beryllium. Tallevast filed a lawsuit against the company that owns the plant, Lockheed-Martin. Lockheed spent years dragging the out the suit. Lockheed-Martin happens to be the parent company of Sandia National Labs, the corporation that runs the WIPP site in New Mexico. Which kind of makes you wonder if the best way to protect people 10,000 years from now is to just make sure we take care of people alive today. 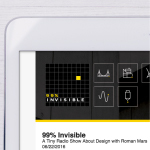 99% Invisible contributor Matthew Kielty spoke with Artist Jon Lomberg; archaeologist Maureen Kaplan; and Roger Nelson, the chief scientist overseeing WIPP. ORIGINAL MUSIC provided by musician Emperor X. His song “Don’t Change Color, Kitty” is guaranteed to get stuck in your head for the next 10,000 years. The song is just one piece of his brand new EP, 10,000-Year Earworm to Discourage Settlement Near Nuclear Waste Repositories available now at Bandcamp. Thanks also to Steve Lerner, author of Sacrifice Zones; to Robb Moss, who has a film forthcoming about WIPP; Matt Stroud and Jordan Oplinger at The Verge; and Abe Van Luick at the Department of Energy. **CORRECTION: A previous version of this written story stated that beryllium dust contaminated the town of Tallevast’s water supply. While some Tallevast residents did contract berylliosis and other ailments from interacting with beryllium dust, this dust was not responsible for the contamination of Tallevast’s water. Rather, Tallevast’s water was contaminated by a different toxin called Trichloroethylene (TCE), which also originated from the beryllium refining plant. We regret the error. Uhm . . . This is the easiest thing in the world . . .
Design a lock that requires a live animal to be sent into the irradiated cavern. The locking mechanism doesn’t end up opening the cavern, but unlocks a mechanism that returns the animal which, presumably, would be dead. After the locking mechanism is in place, the icons don’t need to describe the danger; they can describe, in essence, the way to open the lock. Any would-be travelers into the irradiated zone would experiment until they solved the icon’s instructions. The mechanism would engage, transporting a live animal into the irradiated zone and returning a dead one. Your idea effectively forces the would-be travelers to send one of their fellow travelers to their death. I mean, it would work, but I think the point is to not kill anyone. Uhm, would require a very complex and presumably powered mechanism that would function perfectly for 10,000 years. Plus you still have the fundamental problem of communicating process. Plus, what exactly is it you’re locking? An entryway through a wall? Walls are historically, irresistibly and inevitably scaled or breached. The point is to deter and communicate consequence — over a very large area. And how are you going to get these mechanisms to work after 10,000 years? And how will you relay to the future people that you need to place a living creature into a recepticle for testing? And how will they know how to interpret the results? So the traveller would conclude that great riches must be hidden behind the mechanism, since it is designed to kill intruders (Dungeons&Dragons, anyone?). The purpose is to inform people that they must stay away, not encourage them to try to get in. And by animal, you mean “guy with a red shirt”, right? “easiest thing in the world” to design a machine that still works in 10K y. Also, what “mechanism” do you know of has been working for the last 10 000 years? how would this mechanism be maintained? how would it continue working after 10000 years of use, and probably thousands of years of not being used, but then suddenly being activated? will it need a power source? what will that be? This topic has been given as a lecture at my art college for the last few years, and the students are asked to brainstorm the idea. One aspect about the skull and cross bones, is that it can also be interpreted as a tomb, or grave, and over the years it has been understood that riches can be found in these places, so grave robbers see opportunities. The answer that is given to the art students is the use of Edvard Munch’s ‘The Scream’ etched into the side of the structure. (which I believe along with all of the languages they are also applying) the thinking behind it is close to Mike Brills interpretation, that instead of information being communicated, emotion has to be. And “the Scream” is a non gender specific representation of a feeling that could happen when you encounter this place. The needle landscape could become an attraction, who knows, maybe the Pyramids of egypt used to be considered as a giant STAY AWAY sign? we got into those. This is the point of the art college lecture, making your audience feel something, can have more impact than communicating information alone. Crazy thought. Perhaps there will emerge a small nation of neutral guards who, like those on the Wall in Game Thrones, guard the area regardless of what other political actors do. Germany has the same problem with radioactive wast than all other counties have. They event haven’t found a place to store the wast properly. From 1967 to 1978 radioactive waste was stored in an research salt mine, in the mean time the salt flowed and water entered the chambers. Hadn’t heard about Asse II; thanks for the pointer. But I’m afraid the reason is Asse II wasn’t much of a much. Read the Wikipedia article about it you cite: note that the site never held any high-level waste. It contained medium and low-level wastes, which are far easier to deal with and far less dangerous to have leak on you. Thinking about the idea of ‘culture’, I can understand why some people would think that culture survives, but with the exception of religious texts, what culture (and, in particular, what song) exists today that existed 1,000 years ago? The idea that an individual song would be remembered 10,000 years from now seems pretty silly. A song about a glowing cat, which has no relevance except to talk about radioactivity, isn’t even pertinent to modern-day people, so it’ll quickly be forgotten. The vast majority of culture will be forgotten or twisted into something completely different within a timespan of 1,000 years. (Heck, can you name a single song from the US’ civil war era?) Plus there’s the fact that glowing cats probably won’t exist at all in a thousand years because it’s harder for glowing cats to hunt for food. I think the only real solution is to hope that human civilization continues to exist — so those futuristic humans have radioactive detectors and understand what’s going on without us needing to tell them. This song was a favorite of Lincoln himself. It was played at General Lee’s surrender. Furthermore, the point isn’t for a single song to last 10,000 years, it’s for the sentiment of Ray Cats to be a part of the culture. Have you ever heard of the Santa Claus? That’s how things get passed down, through cultural mores and values. It would only take a generation or two to instill the idea of ray cats. From there on, grandparents would tell horror stories about glowing radioactive cats, and while they wouldn’t be accurate, the next time that kid saw a glowing cat they would know to go the other way. Truly, were this the plan, all cats should be inoculated with Ray genes, but I’m sure too much of the internet would uproar. Frankly, I find it had to believe that we will lose track of such vital information as that of where our nuclear waste is stored. I mean, we have records of the ancient landfills of Rome and Egypt, so why should we assume that humanity will forget this vital information in 10,000 years. Also, wouldn’t it just be easier to just build an impenetrable barrier to the facility. I’m thinking multiple layers of steel and concrete. after the 3rd layer, future humans might just give up. What i’m saying is that why bother with a door when you can have a solid wall. If only this entry could survive 10,000 years, I would bet anything that regardless of what we do today, whoever encounters this toxic deposit in 10,000 years will find about its danger the same way our most primitive ancestors learned the dangers of building a hut in a floodplain or starting a campfire in the middle of a dry forest: The hard way. You should check out the Finnish Nuclear Deep Geological Repository (Onkalo) – it’s supposed to last for 100,000 years and is already under construction! I think the brief is a little confused. The goal shouldn’t be to keep future generations out. Let’s assume that even if knowledge is lost and we enter some new dark age where folk don’t have a chance of understanding what radioactivity is, they will still be capable of making up their own mind about where they will and won’t go. The design challenge is limited to communicating – beyond changes to language, the forgetfulness of the past, and the loss of scientific knowledge – that an area contains a real danger to the health and well being of anyone who ventures in. If they find an effective way to do that then colour me impressed. But of course knowing that the design worked – well that may take a little time. Perhaps the real point in this episode is to question whether we should be doing things that leave messes for other people to clean up. Now I want a t-shirt that says “Don’t go in the place where the cats change color” – maybe with some multi-color cat silhouettes. I also want one. And the cat or the writing should be made of glow-in-the-dark-colour. That would be so awesome. Can’t you use the comic strip message but include roman numerals so they know the correct sequence? I, II, III is pretty hard to misinterpret. If you assume that they don’t read it as a countdown. Which makes me wonder: has there ever been a culture that counted time backwards? Like “It is five hours to nightfall” and two hours later “It is now three hours to nightfall”. We sometimes count down nights before christmas or working days until the weekend, so maybe our descendents will count down as well? I like the idea of comic strip. Instead of roman numerals, or in addition to, we can put some elements that have a clear temporal direction. We can include a falling object or a flying bird. I’m sure that a bird flying backwards should seem strange and so fix the strip order. Moreover, animals representation is in used since the beginning of the human culture. The trees growing in the background are intended to convey the correct direction of time passing, I think. I’ve seen a documentary about Onkalo! http://www.intoeternitythemovie.com into eternity is a great gloomy and philosophical look at this terrible issue. I really recommend the movie to everyone interested in this topic. Yes! I went on a tour of Onkalo last summer – you can just schedule it with the nuclear company (if you happen to be in the Scandinavian neighborhood). The tunnels are already dug and they’re testing different long-term nuclear storage techniques. It’s really interesting to hear it from an engineering perspective – no acknowledgement of possible failures because it is ‘designed to last’. It’s also quite different from WIPP, as it’s higher level nuclear waste and there will be no surface marking regime. Wow! I didn’t know that you can visit it. That sounds amazing! I’m in Denmark, so I could totally go there, but being a student I don’t really have the money to go on a trip… I’ll try to save up some money, because this is definitely a place I’d like to visit! For a fictional look at this, check out Deep Storm, by Lincoln Child. Aliens leave waste on Earth, and we ignore the labels. Action-adventure, not too bad. I wonder if the author used some of the sources mentioned here today for reference. Big Emperor X fan here. Clicking on the link to his Bandcamp page will take you to not only the full length version of this awesome song and a good range of some of his previous releases (and there is a ton more of his stuff available on youtube), but also to a fantastic and detailed exploration of how this song, it’s concept/goal, and the technological/cultural abilities of it (and of audio in general) may be degraded and shifted and then still possibly accessed in a far-reaching future. Interesting and fun stuff. Thanks for the episode! Especially given that you’re based out of Oakland, you should look into The Long Now Foundation who has designed and is in the process of building a 10,000 year clock. The problem that you did an excellent job of making clear is that there just isn’t an inexpensive way to pass this message down through the eons. What about marking the site with a profound absence of anything any future people would want? Suppose the ground for a hundred miles around was plowed with so much salt that the land would be barren for 10,000 years. The mine shaft filled entirely with rubble and concrete, the entire area turned into an inhospitable, featureless waste so desolate no one could survive the trek through it and no one would want to anyway. Three statues placed at even distances in the hallway leading to the doorway of the waste site. The first: A statue in the middle of the hallway displaying the universal sign for stop–a man or woman standing with an arm outstretched palm pressed forward and a stern look chiseled on the face. You could make this statue out of titanium or something else ultra durable. The second: The same figure clutching their throat hunched over gasping for breath. One could make this statue more gruesome to multiply the effect. The third: The same figure on the ground dead. By using this model the meaning would be pretty obvious as unwitting explorers made their way down the hallway. But all these methods really seem totally unnecessary from my point of view. Even with the biggest disaster I can imagine and I don’t seen technology disappearing and so our language and culture would be well documented. So I think a simple sign stating “Warning: dangerous waste buried here” would suffice. The idea of ray cats was cute, but I imagined that cats would also evolve over 10,000 years. If there was no reason for that color changing gene to remain, it might fade away. Now, my initial idea was to create a living Rosetta Stone. Every 50 years or so, the marker should be updated with the current icon/words that warn people away. However, I like where you ended. If our current society can not protect its citizens, there won’t be any humans to protect 10,000 years from now. 10,000 years isn’t long enough for evolution to have much effect. The Rosetta Stone idea wouldn’t survive a major collapse. The site could easily be lost for thousands of years. The people who rediscover the site could easily speak a completely different language. My best bet for keeping future humans out would be simply forgetting all about it. If we seal up the entrance, cover it up with tons of dirt and make it look natural, future civilizations won’t see anything special about the place and just move on. 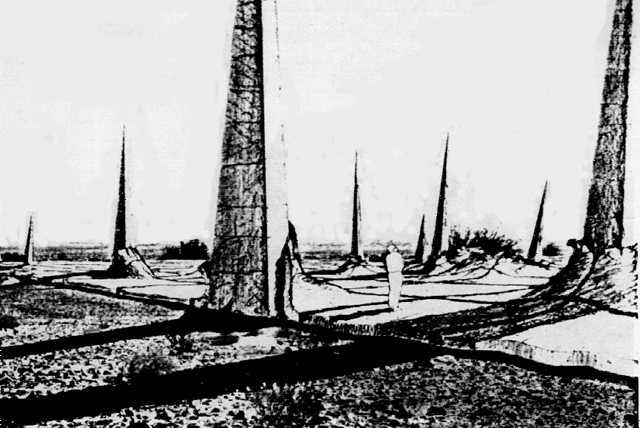 If we bury the waste far enough down and conceal it enough, by the time humans will be able to get down to the waste their civilization will know about radiation already. A Rosetta Stone won’t even work in a post-nuclear war scenario which would be the most likely future civilization with less technology than us. I had a similar suggestion but it’d be a problem if people settled on top of the site, so we need to make it inhospitable. I was thinking about plowing it with so much salt and such that nothing would grow for a hundred miles for the next 10,000 years. Ray cats, cute, but clearly not a scientists idea. 3 liters per year over 10,000 years for a gene that had no selective advantage. There’s an excellent chance that the ray cats would be either extinct (that could only take tens of years to achieve), or the genetic modification lost. Throw in some selective disadvantage–cats glow when they’re exposed to a little radiation, which helps the coyotes and raccoons see them better and reduces their fitness because they’re worse ambush predators, which wipes out the ray cats. Or, maybe we get ray cats who adapt to living near radioactivity (many existing gene pathways repair damage from ionizing radiation) and thrive. Or, maybe Earth’s atmosphere changes to allow in more cosmic radiation, and now ray cats everywhere glow. Ah, and when our civilization crashes, non-ray cats will thrive in our post-apocalyptic ruins, interbreed with ray cats, and dilute glow-gene right out of the population. Unless we exterminated all cats now, and reintroduced ray cats everywhere…. If you believe in evolution, a living organism isn’t the best way of creating an immutable warning system that would endure thousands of generations. In fact, the inevitable evolution of our species and culture over thousands of years is the crux of the problem. Full circle. Seeing as we probably aren’t planning on cleaning up or tyring to label such naturally hazardous sites for future generations (seems we’re too busy doing quite the opposite, creating plenty of unnatural hazards for posterity), it seems workable, at least to clear our consciences a smidgen. Because, hey, they might stumble upon that uranium deposit anyway. A few thousand additional icky gloves isn’t going to make it any worse for them once they’re elbow-deep into the uranium. Well, the stuff in the middle of uranium mines turns out to be radioactive schist in geologically ‘recent’ abduction zones, so adding hot stuff, and kittenish rules about taking it out for a finite lease, make it less containable and compliant monitoring a chore. The air quality to-do alone looms and taxes sequestration well planning. I highly recommend the book “Deep Time: How Humanity Communicates Over Millennia” by Gregory Benford: it’s unfortunately out of print, but you can read the first section, the one relevant to this discussion (although unfortunately without the illustrations, but that’s better than nothing), at http://www.physics.uci.edu/~silverma/benford.html. Out of print already? How ironic. So the song is in english, so what’s the difference of having a sign written in english really warning about the effects of radiactive waste ? I propose to inform all countries the location of this waste site and reach an agreement of updating the sign every 100 years, and thus ensuring we have an updated warning message for future generations. The idea of agree this with other countries is to ensure the continuity of this plan even if the US happens to dissapear for some X reason. What if countries disappear? The idea of nation states is a relatively recent one. The simple unfortunate truth is that there hasn’t been a 10K y run of civilization without “interruption” locally and/or globally. It’s probably safe to assume that at some point the sites would be rediscovered by some future civilization. Am I the only one left who remembers the impressive Anti-WIPP Protests in Santa Fe, Circa 1990? One issue was the risk that radiation would somehow seep out of the site before 200,000 years was up and present its dangerous properties. 20 years later — it has already happened! In 10,000 years, it’s a good bet that if life exists, this site will be anything but a secret. More likely it will be treated like fire — very dangerous and all too familiar. Looks like kitty litter is going to make the entire place explode anyway. This gets me thinking… what if strange and unknown monuments that are still on the Earth today are from our ancestors trying to warn us to stay away. No one really knows why Stonehenge was built. Maybe it was built to mark a spot that could do harm? It’s like one of the previous episodes states. Humans have always been so intrigued by ruins. It’s also true to say that humans are especially intrigued if the ruins are mysterious. We should be careful about how we construct barricades around a radioactive site, because who knows, maybe one day we will have shuttle busses shipping tourists to the Stonehenge of the future. This gets me thinking about archeologists like Howard Carter and Lord Carnarvon, who togetjer discovered Tutunkhamun’s tomb. Famously, the tomb was ‘cursed’ and many people involved in the discovery, include Carter and Carnarvon themselves, died soon afterwards, apparent victims of the curse. But perhaps they just got some kind of radiation poisining? This also reminds me of the clues and symbols that Indiana Jones has to negotiate in, in particular, ‘Raiders of the Lost Ark’ and ‘The Last Crusade’. In both cases, he decipher’s messages handed down accross millenia, designed so that only the right sort of person can access the sacred relics. Perhaps these radioactive sites need similar contraptions embedded within the caverns? Stonehenge is a tool to measure temporally cyclic phenomenon such as solstices. Once they figure that they all die around there, they’ll move. If not, no great loss to society. – The skull and crossbones is pretty good. The article dismisses it too quickly. It only works as a meme on toddler stuff because of the irony factor. – If the kind of society we know today is still going then, it won’t be a problem. We’ll know where the stuff is (and/or what it means). I say that the best solution is simply to hide it. Bury everything deep enough that it won’t come up any time soon and make sure it’s hard to tell that anything was there. So long as there’s no reason to believe there’s anything of value nearby, nobody is likely to bother digging it up. I agree. I think it doesn’t matter how we would mark it, future generations would still go on and have a look, just because, well, we are curious species. So we should just hide it and leave a sign in the deep entry, as plain English “We are sorry”. Dangerous is this store or not, to decide the future generations. The only thing they really need to know is about the contents of the repository. The sign should look simple and clear, for example schematic representation of the molecules. If civilization will collapse, it will not be able to get to the store if technical progress will not stop, molecular structure will not change and will quite understandable. What can you say about this? We are polluting the earth for the coming hundreds of centuries, only for money and war. While we continue doing that, we waste huge amounts of (tax payers) money to try to solve the insolvable waste problem. There is truly only one thing we communicate to the people that might live in the future on this planet; HOW STUPID WE ARE! How much stable dye variety is there for cast granite, anyhow? ray has a competing idea for nonpositive values of compete! If you mine so much as arable land you still find star stuff you can’t handle like this. What could be more enduring than the Rad Runner platformer with notes that the important power-ups don’t exist (or for higher difficulty object pointers, Fallout 3: Vegas and its VM, with similar notes) and a map of expected isotope profiles by area for comparison. As if trollfaces will change in only 10,000 years? NEUTRON OK O’RLLY. Infrabass (subliminal low-frequency sound such as that produced by a church organ) triggers a fear response in humans. I think with sufficient engineering, you could use that wind-driven aeolian tone generator idea Gregory Benford proposed and basically build a giant wind-powered 5-15 Hz resonator out of concrete or other hardwearing material. That should deter settlement near that spot until primitive societies become able to destroy such a robust structure. To increase robustness, use more concrete. To increase volume, construct more resonators. This idea fails if the wind inlet gets buried in sand over time. Any warning must be based on the basic structure of the human body that is unlikely to evolve substantially over 10K years. Posting carvings of a human skull with the jaw slightly altered so as not to appear smiling is one possibility. Another possibility is a stick figure oriented sideways, slightly bent over, with vomit falling to the ground. This is a universal physical reaction to detected poisons which I assume will not change over many years. It is interesting that the cultural based proposals essentially involve creating a “meme.” Perhaps Richard Dawkins (The Selfish Gene) can help us to understand how memes evolve. Why we don’t send our nuclear waste into the infinity of space is beyond me. Pack it up and ship it out in any direction. But the idea of Ray Cats is amazing. Absolutely, hilariously amazing. A rocket exploding on the way up could cause massive exposure to deadly radiation that could wipe out large portions of the developed world. Digression into not understanding the dangers of these sites would happen sooner. personally I think that we should use the comic strip idea, but put both roman numerals and arrows to indicate the direction to read, as both of those are hard to misinterpret, plus use skulls and crossbones and other symbols of death. After all, the more symbols you use, the more likely that at least one of them will be interpreted in the way we mean it, and if there are a hundred symbols on an ancient building and even one of them makes me think death, there is no way I’m going in there. The problem with shooting the waste into space is that it is way more expensive than shoving it into the ground, and the problem with the ray cats is that there is no way to know whether or not they will survive as a species. And there is literally no way to 100% guarantee that anything that we do will have any effect on anything. After all, a meteor might hit Earth right there and obliterate all of everything we do along these lines, as well as opening a hole straight into the radioactive containment chamber for people to explore as they wish. We just have to set up as much as we can and hope and pray that something works. No one commenting here understands the least bit about radiation. This 10,000 year project is ridiculous – none of this material would pose a danger any where near that long. Long lived radiation is not bad. Something radioactive for 14 billion years, totally safe to deal with, something radioactive for a day – very energetic. The WIPP is very deep, very safe, and stable for millions of years. The WIPP was and is a great asset to the US and provides safe storage for millenia. 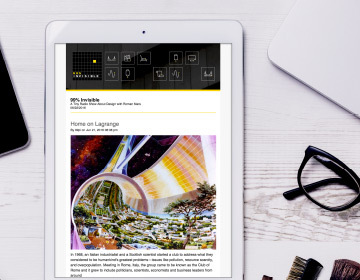 The Earth is very radioactive – there is background radiation everywhere – do you live in Denver, then you are getting cosmic radiation as well as huge doses of radiation from the rocks in the mountains. Your bananas are radioactive, your granite counter is radioactive, your natural gas you cook and heat with is radioactive, your kitty litter is radioactive – your smoke detectors are made from by-products of plutonium production. That radiation saves millions of lives – as well as Xrays, and Therapies for cancer. Get over your uneducated fear of radiation and learn what it is – not what you think it is. The sun is the largest source of intense radiation we have – you need sun to get vitamin D, but too much sun and you get a burn, too much sun exposure over long periods may give you cancer. So, is the sun to be feared?, or should it be understood and dealt with. We live in a very radioactive world – learn about what that has meant for life on earth – and then you will understand it, know how to deal with it, and you wont fear it. Fascinating design problem and great show. Have you read “A Canticle for Leibowitz”? It’s a post apocalyptic novel from 1960 that tells the story of monks protecting papers from the pre-war time. http://en.wikipedia.org/wiki/A_Canticle_for_Leibowitz There is an ironic twist based on the problem the WIPP people are trying to solve. I have to ask – if we can’t store it safely then shouldn’t we stop making more of it til we do? I can address some of the proposals here. That part of New Mexico has a ton of oil and potash mining, right up to the edge of the boundary of the site. So there are a lot of reasons that people would like to just drill right through it. If they didn’t know what was down there in the salt ~0.5 mile down, they would drill right through it. The entrance is not like a cave. Currently, there are three shafts that do directly down from the surface to the repository. They will be filled in with mined salt, concrete, asphalt, and even the equipment that they currently use to bring the waste down. So, at the surface, it will be relatively flat (like the rest of the desert there) and you might not know that there had been a mining operation there. The DOE will be there for the first 100 years following closure of the repository, to monitor the site. For those proposing a salting of the land for 100 miles, keep in mind that one of the largest cities in New Mexico, Carlsbad, is only about 30 miles away (that’s where the workers live currently). 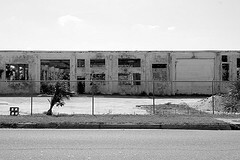 One of my friends posted http://www.wipp.energy.gov/picsprog/articles/wipp%20exhibit%20message%20to%2012,000%20a_d.htm That this morning. (Also government website design amirite?) I of course referred him to this podcast. Sorry if this has already been said. I think it’s interesting that the premise for this project assumes a sort of dystopian future. I mean, sure, we have trouble interpreting the lives of people who lived 10,000 years ago, but our society is so much more advanced and well-documented. Our relics will last much longer, and since we already practice archaeology and historical preservation today, there’s no reason to think these fields wont just get better over time. I think it’s a safer assumption that humans 10,000 years from now /will/ understand many of our languages and symbols, than that they won’t. Just stick the cartoon described on there, as well as the words “DO NOT ENTER, HARMFUL RADIATION,” in many languages, and some Xs and Sick-faces and radiation symbols and so on. Future travelers will understand that some important message is being delivered, and the odds are pretty good that someone in their civilization will be able to decode it. 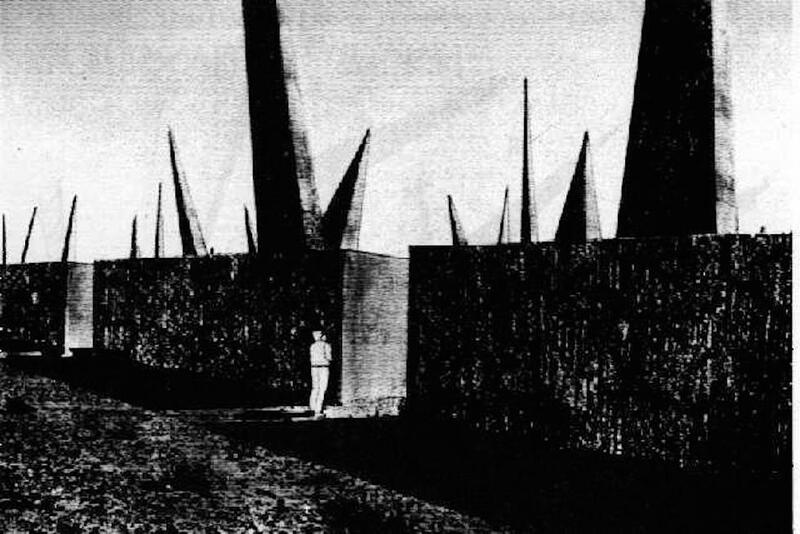 If this future society is entirely devoid of records of the past, it probably has bigger problems than one radioactive site. I mean, realistically you need to mark it for a hundred years or so, at which point it’s as radioactive as the uranium deposit where the fuel was first pulled out. Do we mark every uranium deposit with 10,000 year signs warning people to keep out? Of course not. So, I only heard this episode today. Sorry I’m late to the party, Roman. But you’ve started a thing. The SONG now exists – you’ve started the process of creating the cultural history. But the cats don’t. Which means you’ve created a warning, which could cause people to be LOOKING for radcats, but never see them because said creatures don’t actually exist. You have a responsibility now to create the radcats and release them at the site.